Last fall, a blog post written by a grieving mother was shared in the loss community. I haven’t looked at it since it was first shared, so I can’t quote it directly. Basically, it was about sharing pregnancy and birth announcements in pregnancy and infant loss support groups, and how hurtful those announcements can be. The author of the post suggested that these kinds of announcements be shared elsewhere. I completely agree with this. Unless you are in a group for TTC mamas or pregnancy after loss, it’s probably best to avoid sharing this kind of news. I remember how painful those announcements were when Elliot passed away, and then doubly painful month after month of negative pregnancy tests. Don’t get me wrong. I was happy for those who were able to conceive and bring home a baby. They gave me hope. But I was still so sad for my family. I constantly wondered when it would be my turn. I wondered if it would ever be my turn. Ben and I fought so hard for Elliot. She was meant to be ours. But still, she didn’t get to come home with us. The blogger went on to talk about rainbow pregnancies and how it seemed that PAL (pregnancy after loss) mamas forget about their angel babies. She suggested that PAL mamas celebrate their new babies and seem to leave their angels behind. There was even mention of riding off into the sunset with a happy ending after the birth of a rainbow baby. Those words were very hurtful. At the time, I was a little more than half way through my pregnancy with Brynn. I was already stressed about bringing her to term AND bringing her home AND grieving for Elliot. I also thought of my beautiful PAL and rainbow mama friends, and I knew they were all still hurting from their losses, too. Even though the blog post was not directed at me personally, I felt like I was being unfairly judged. I also felt like all my PAL and rainbow mamas were being judged, too, simply because we all chose to celebrate new life. 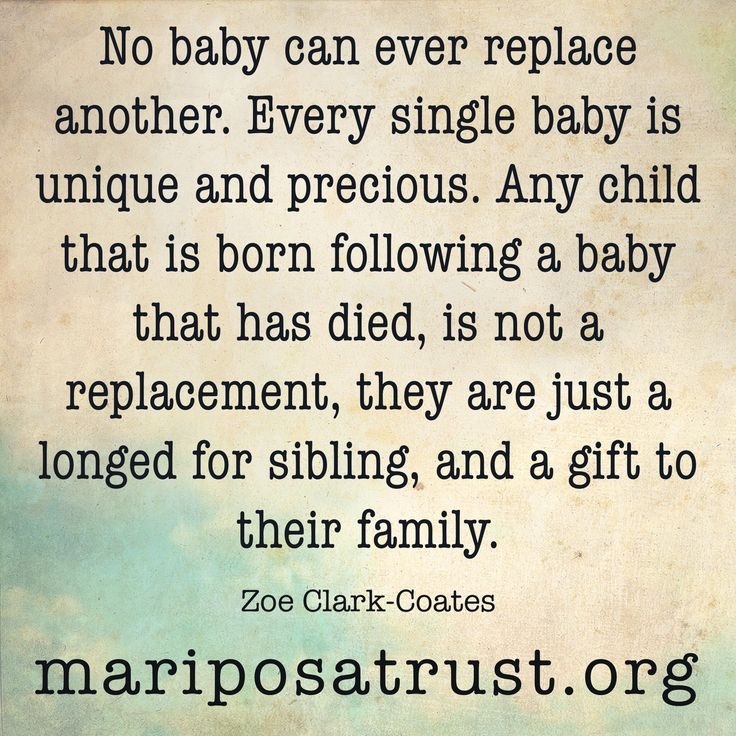 I didn’t think it was fair for others to assume (and almost declare) that just because we openly celebrate our pregnancies and babies born after loss, we are somehow forgetting our angels. Yes, I am so incredibly lucky to have gotten pregnant again and bring home my baby. But please know that I still miss Elliot every single day. I still cry for all the things I have and will continue to miss out on with her. I still find myself reliving the early days of our loss when everything was still so fresh and raw. Brynn is not a replacement. She has not once been thought of that way. Elliot and Brynn are two different children. They each hold their own unique spot in our family. Brynn has filled my heart with so much love and happiness. But that does not erase any of my pain and longing for Elliot. Nor does it erase my love for Elliot and the memories of her that I hold onto so fondly. Even though we left the hospital with Brynn in our arms, I am still faced with triggers, almost daily. In addition to feeling judged, I was also upset about the blog post because my pregnancy was not all rainbows and butterflies. Neither is parenting after loss. One of the reasons why I chose to openly celebrate my pregnancy with Brynn is because I was afraid of being paralyzed by fear. I needed the support. I needed to be happy. And I needed to let others share in that happiness with me. I had to focus on the good things because if I didn’t, my mind would have led me down a dark road. Still, I never once forgot about Elliot. I talked about her a lot and included her in almost everything. This is still true today. I’m always thinking of what she’d be doing as the days pass. We still say good morning and wish her sweet dreams. We tell her how much we love her every day. Her photos still hang on our walls. She still has several sacred spaces in the house that are hers and hers alone. I think of her throughout the day, and I always look for signs of her spiritual presence around me. I still struggle with anxiety, just as I did while I was pregnant with Brynn. Some of it is normal, but I believe a lot of it is due to grief and PTSD. Sometimes a song brings me right back to the days and weeks following Elliot’s stillbirth. One minute I am driving to the store thinking about the list of baby items I need to pick up for Brynn, and then all of a sudden I’m recounting the time I stood in a coffee shop in Maine crying uncontrollably as Stay with Me played on the radio. Or the time my mom was telling me about a family friend who was pregnant with her first baby, a girl of course. She and her husband had been married for 5 years and recently bought a house. That was Ben and me not long ago. In that moment, I was brought back to the final days of my pregnancy with Elliot. It look everything in me to fight back my tears as I drove to dinner. I constantly check Brynn at night to make sure she’s still breathing. I’m always worried about her catching a cold that could turn into something worse. Is she overheating? Will she have an allergic reaction to her shots? What if she rolls over in her sleep and I don’t wake up? The dreaded S word hangs over me. Sudden Infant… I can’t even finish it. And the list goes on. These are not insignificant fears. They are real. I am incredibly thankful that I get to parent a living child. Believe me when I say I truly understand how lucky I am to have Brynn. But I think it’s important to also recognize that PAL and parenting after loss are messy and complex, too. I didn’t comment on the blog post when it was first shared because that mama seemed to be in an angry place. She is entitled to her feelings, and she has every right to be angry. She was robbed. That was her time and space to share her gut wrenching feelings. I don’t blame her one bit. I was there myself. I guess it bothered me enough, even today, that I needed to say my piece, in my time and space, too. Please don’t forget, I was also robbed. We all were. We are all grieving mothers. I will never forget about Elliot. I will always celebrate her. Just as I will always celebrate Brynn. They are my girls and I love them equally.